This is my last blog for 2015. This year has been a roller coaster year for everyone working on civil liberties and human rights. The International Civil Liberties Monitoring Group has been vigilant and always consistent about the call to respect human rights for all Canadians with no exception. Fighting terrorism should never be an excuse to eliminate or diminish our civil liberties. Unfortunately, the new Anti-Terrorism Act 2015, or what everyone knows as C-51, was passed this year. It greatly endangers our civil rights and makes them vulnerable. Meanwhile, the government never brought any evidence to show how this new highly intrusive piece of legislation will make Canadians safer. Basically, C-51 gave the government the green light to spy on us without a warrant. The intelligence officers have now huge additional powers to “disrupt” any activities they suspect related to terrorism. Guess what that can mean: they can do everything except killing you or sexually abusing you. The promotion of terrorism is now an offence, even if no terrorist act is planned or committed. The act of expressing strong opinion supporting or which could be interpreted as supporting terrorism in general – regardless of intentions – is now considered a crime. Freedom of expression has taken a toll from this. The No-fly list has been perpetuated and expanded. The same opacity surrounding this list since its creation in 2007 remains unchanged if not worsened. 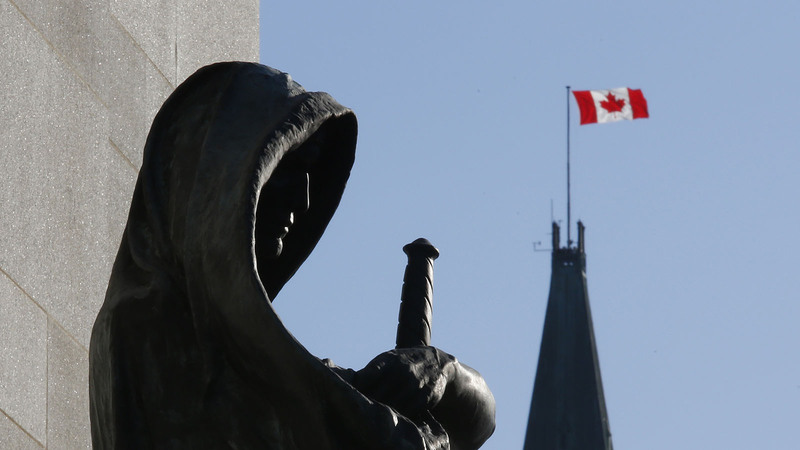 C-51 allows for a judicial hearing that may occur outside of public view and for the use of secret evidence. We have always opposed this list and we are asking the government to make it public. The former Canadian government has activated the deportation procedures against Mohamed Harkat. How can we deport a man to a country where he is facing the risk of torture, disappearance and death? Unfortunately, in 2015, the security certificate regime remains a flawed system that targets immigrants and refugees. Despite what the Supreme Court advised in terms of informing a suspect about secret information through his special advocate, that remedy wasn’t taken into account and we still have today a process where an individual can never know the evidence held against him. Omar Khadr has finally been released from prison under strict conditions. His long detention in Guantanamo marks one of the darkest chapters of Canada since 9/11. He was released despite the continuous legal battle the government waged against him. Three times the Supreme Court ruled in his favour and each time the government didn’t want to listen. On October 19, 2015, Justin Trudeau became the new Prime Minister of Canada, after a decade of fear. Under the Harper government, many civil society organizations felt intimidated. Some were audited, while others were defunded. We really hope that this will be a new chapter in terms of accountability and transparency. Civil society is a pillar of our democracy and any attack against it is an attack on democracy. Perhaps, a public inquiry into those attacks should be pursued. The road ahead will be bumpy and full of obstacles. We will keep calling for the repeal of C-51. We are determined to obtain the implementation of Justice O’Connor’s recommendations from the Arar Commission report: a parliamentary oversight and robust and integrated review mechanisms. Parliamentary oversight alone is not enough, review mechanisms are crucial. We call the government to apologize to Ahmed El Maati, Abdullah Almalki and Muayyed Nureddin and to compensate them. They are suing the federal government for failing to do so and a court date has been set for 2016. We hope that the government won’t wait until then. Instead, we call on the government to correct this wrong as soon as possible. Salim Alaradi, the Canadian citizen arrested in summer 2014, is still behind bars in the United Arab Emirates. There is news that his file has been sent to the General Prosecutor. This is deeply troubling as he has not been accused of any crimes. We called many times for his immediate release. Human Rights Watch and Amnesty International documented the torture he was subjected to. Evidently, Canada is not doing enough. ICLMG called on the Foreign Affairs Minister, Stéphane Dion, to ask for his immediate release and return to Canada. There are many hopes and many challenges to come. We count on your support and generosity so we can build a better Canada and a better future for our children. Please donate as a holiday gift to the ICLMG, or ask your relatives and friends to donate to the ICLMG as a gift to you – thank you for your generous support! This entry was posted in News from ICLMG on 15 December 2015 by ICLMG CSILC.